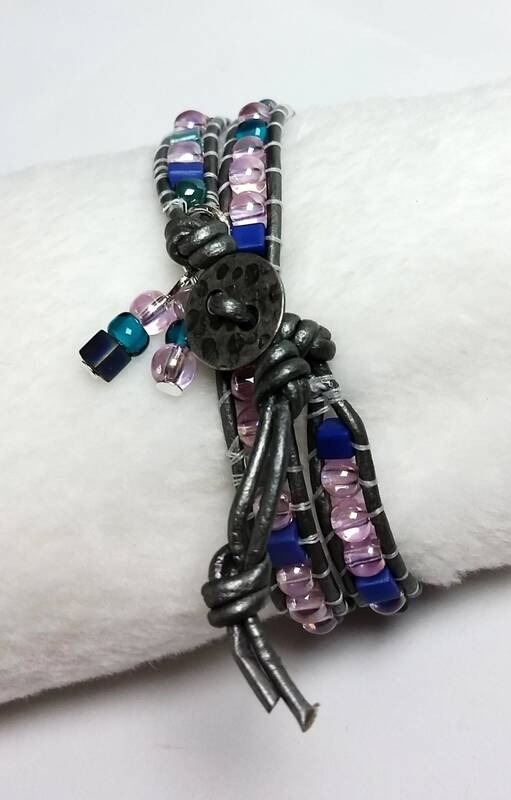 This sweet pink double wrap leather bracelet has two button loops and is thus adjustable in length, fitting most wrists that are 6.5 - 7.5 inches in circumference. 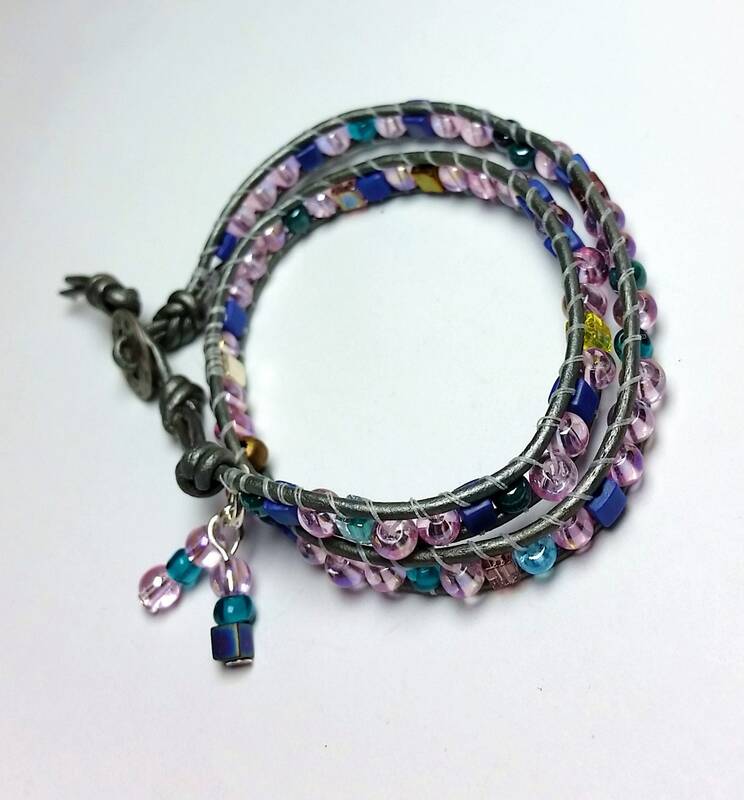 The button part of the closure is coin shaped and has a textured antique silvery appearance. 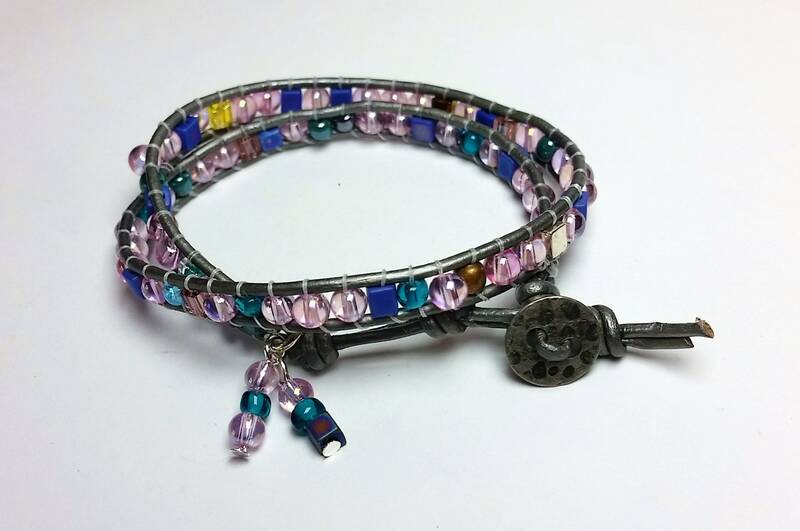 Two beaded dangles drop from the looped end of the bracelet. 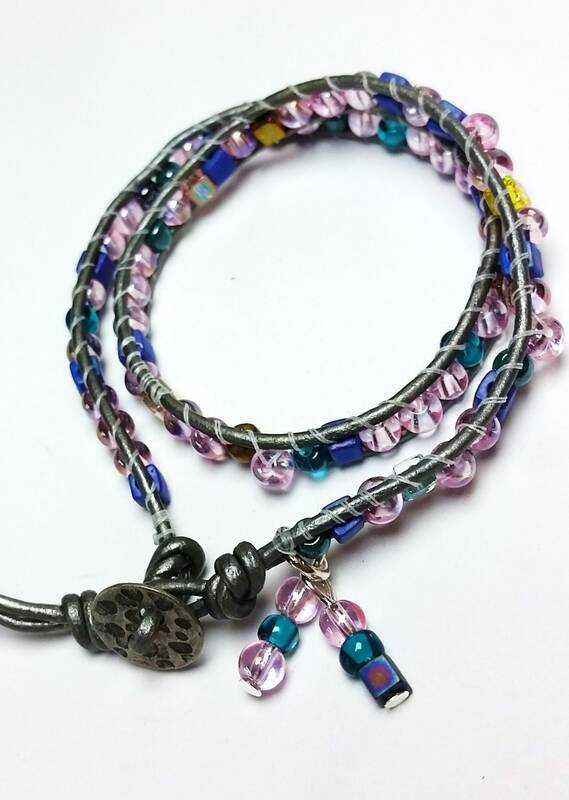 The pink beads are round. 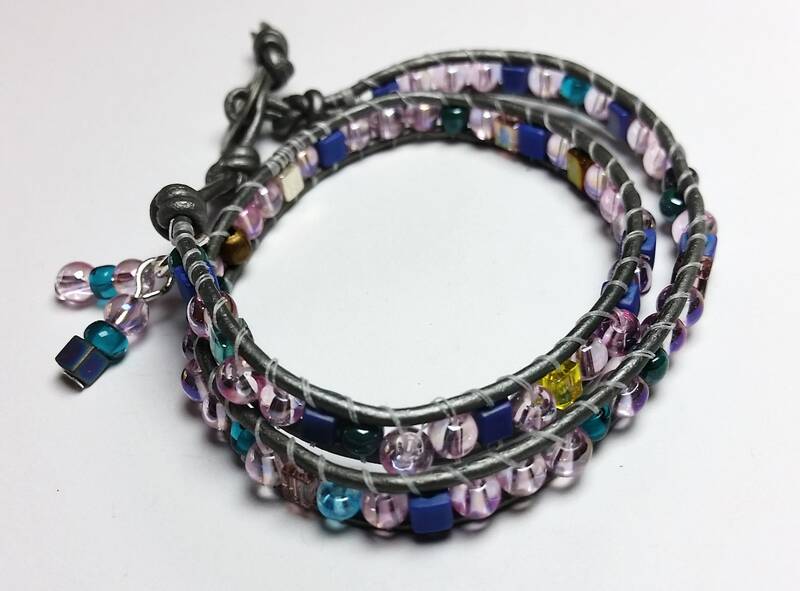 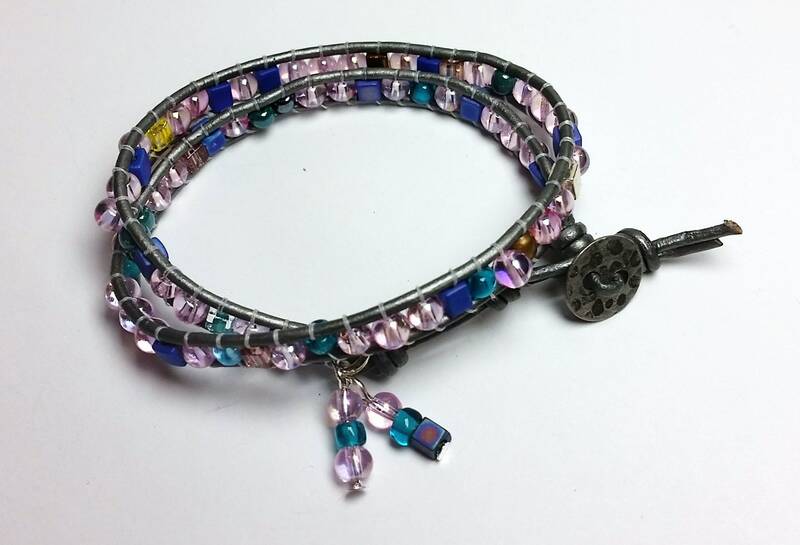 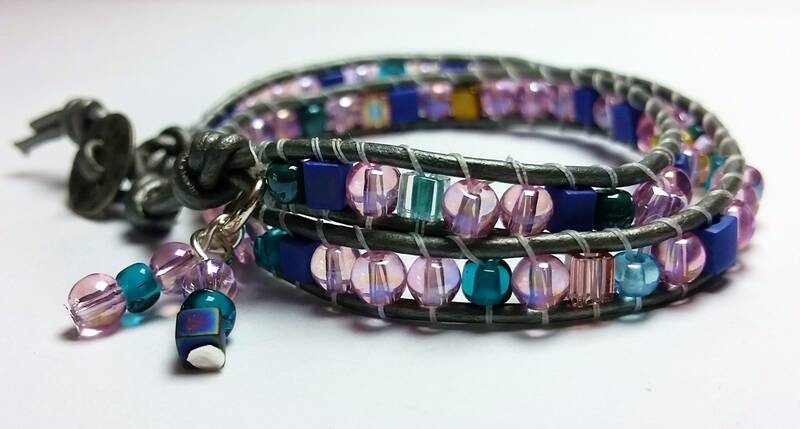 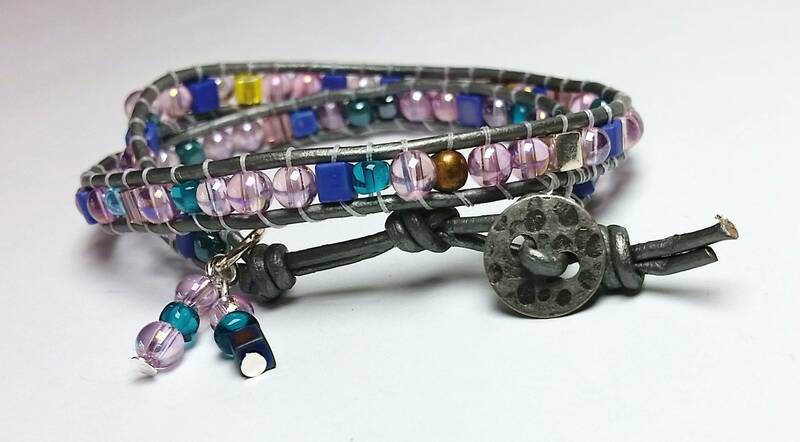 Other beads include Myuki cubes in silver,brass and lavender as well as aqua seed beads.